#1 I have NISMO R Tune and S Tune stickers pretty much all over the car, along with the black and red racing stripes on the sides and the hood. I found out in another thread on here that true NISMOs weren't a thing until 2007, is it safe to assume this is just stuff the dealership stuck on there to make it more appealing? I assume this since the R Tune and S Tune are reffering to the suspension I believe, so it's not possible to have both, right? #2. My vehicle does not have Brembo brakes. I see some touring models have them and others don't. Is my car supposed to have them? #3 My rims also have the black and red NISMO stickers on them. Similar to question #1, are these just something stuck on there? #4 Does anyone know anything about POZEST.COM? I looked at their website and it didn't really say much, seems like its been neglected. Reason I ask is POZEST.COM was painted on part of the crossmember in the trunk so it could be seen through the rear glass. Not a big deal, just got me curious as to the history of the car. For the early USDM Z33s ('03-06), the NISMO R (racing only) and S-tune (street use) parts were available through Nissan dealers. These parts spanned more than just suspension, however. You could jack up your car and support it on jackstands to see whether you have the S-Tune exhaust, sways or shock/spring kit. They're usually tagged with the NISMO label or have a different color (red springs, etc) to distinguish them from the standard OEM parts. And while it's possible to have R and S-tune parts on your car, it's not likely. #2- none of the early Touring models came with the Brembo brake package. 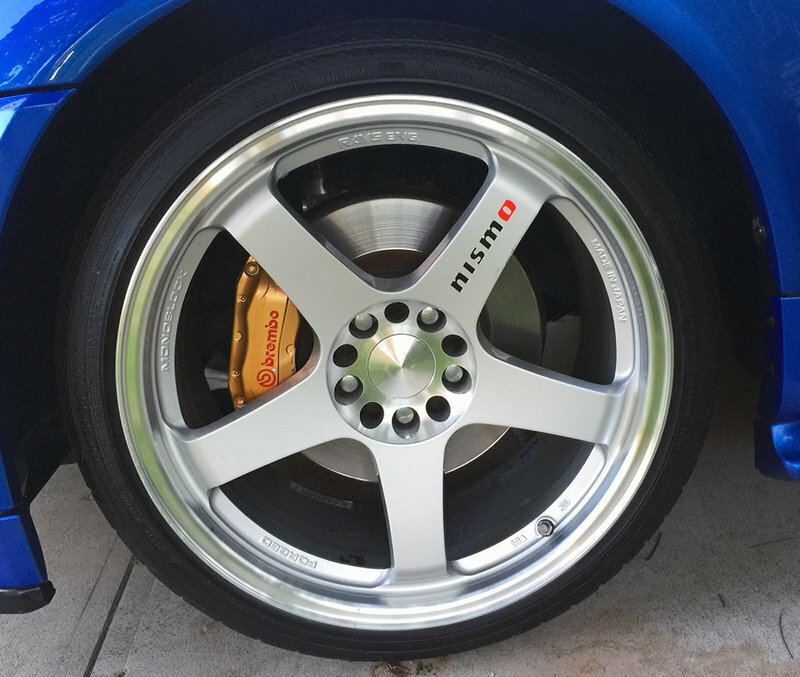 Beginning in '06 Nissan offered a GT package that had most of the Touring options with the Brembos, but some Touring model owners have simply upgraded their brakes with the BBK. The previous owner of your Z obviously did not. #3- if your alloy wheels have NISMO stickers on them, it's possible they are the S-tune wheels that were offered through dealerships. Post a pic and I'm sure we have some wheel experts (ahem, MicVelo) who can confirm or deny them. BTW- Nissan dealers were free to call these OEM-aftermarket cars whatever the hell they wanted, but don't be fooled. Only the 07-08 NISMO 350Zs were truly a factory built NISMO car. #4- can't help you out on this one at all. I've been around for awhile and heard of most of the clubs and Z-car related events and never heard of POZEST.com. There were no Nismo built S-Tune Z33s ever imported to the USDM. (There may be a few of the 40-60 cars imported to the US, but never sold by dealers here. Strictly Japan Market cars and allegedly one sold in the UK) But, a "true S-Tune" car could be replicated/assembled in the US through parts available from Nissan - as dkmura mentions. The body aero parts, stickers, stripes, exhaust, suspension, etc. were all part of the Nissan Accessories catalog. What many call "Nismo" or "S-Tune" Z33 wheels are also from the accessories or "Nismo" catalog (and a few approved dealers) and are known as LMGT4 (and the earlier LMGT2 and LMGT3 which were originally for other/earlier models but could be retrofit to the Z33). 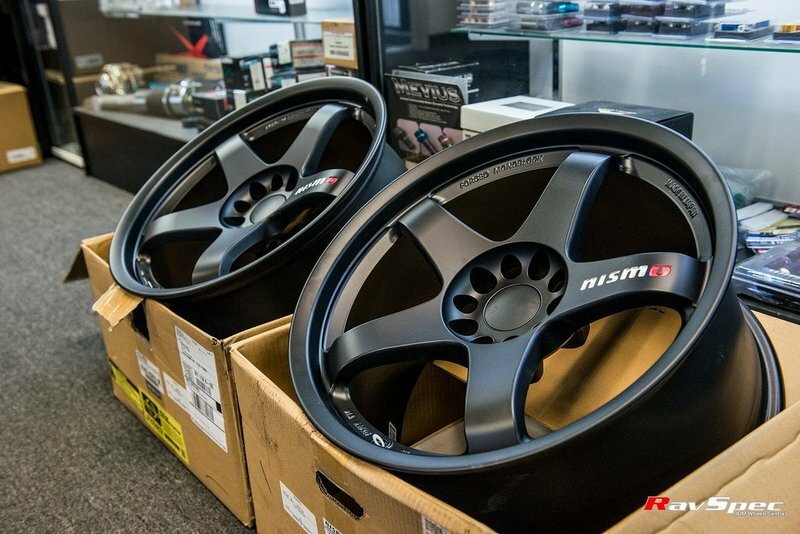 If yours are these wheels (or the factory '07-08 Nismo wheels, which, as you know, weren't offered until the Nismo car), they're neither S-Tune nor Nismo, per se. (But provided through Nissan Motorsports.) But who cares and what's in a name? The LMGT wheels are awesome and highly sought after. 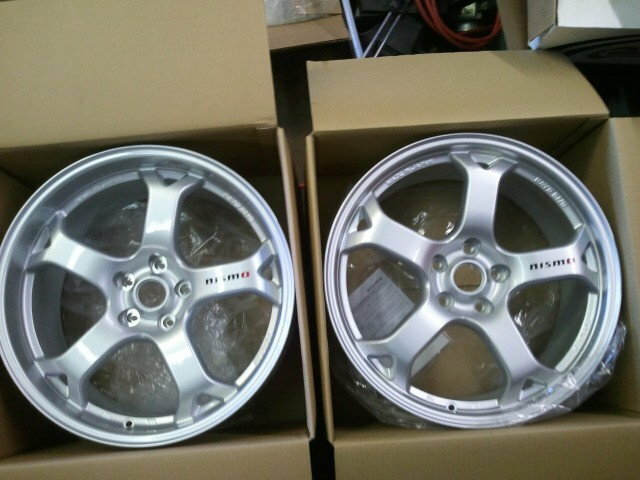 LMZ5 for Z34 - only factory wheels known as "S-Tune" and very rare now. But as mentioned, post pics for clarification. There's nothing wrong with the body stickers as they are "factory". Not many cars here in the US ever got the full S-Tune setup because when introduced, it would have cost something on the order of 35% of the cost of the whole basic Z car to replicate it with all the accessory parts. Last edited by MicVelo; 02-04-2019 at 12:38 PM. Awesome responses, thank you to all who replied to my thread, I will post pictures as soon as I am able to! Wow! That is some very thorough information. Based on your pictures, I have LMGT4s on my car, albeit the NISMO stickers are flaking and peeling off. Awesome! 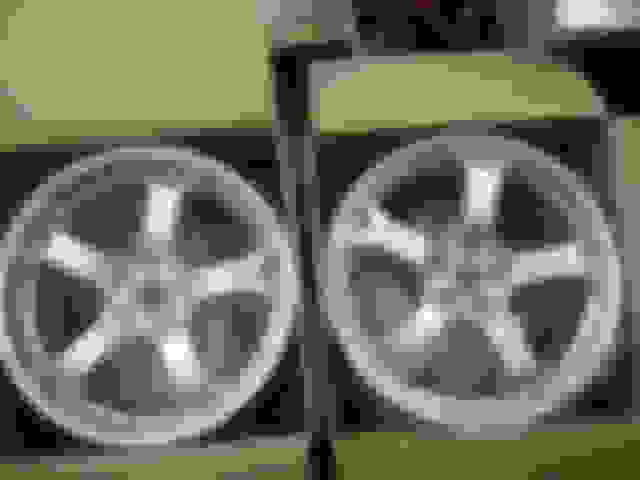 There are a lot of LMGT wheel replicas (almost said "fakes" but I'm feeling generous today ) out there. The only way to tell for sure is to look at the pics closely and note the raised wording (part of the forging mold). Only the real ones will have the "FORGED" and "RAYS" and so forth. I recall someone on here had a pretty complete (if not fully complete) US-dealer assembled S-Tune on here in PPW. It was awesome. 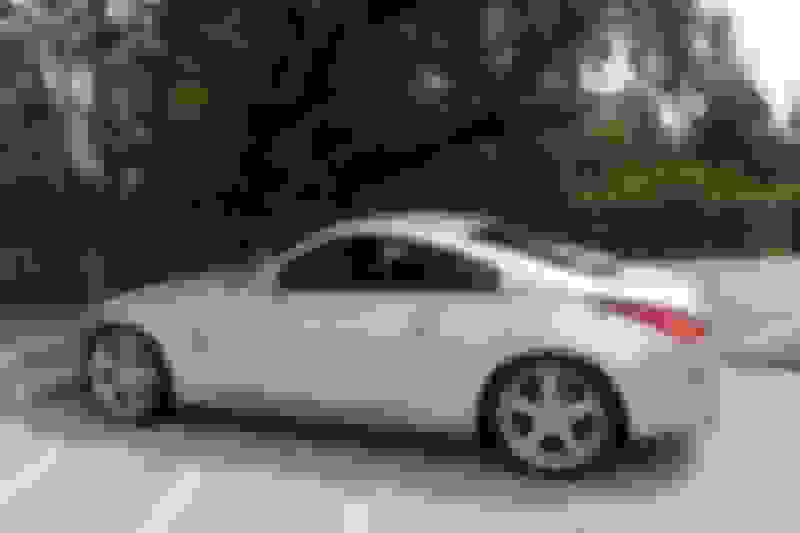 Looking to buy a 07 350Z, own an IS350, have a few noob questions, sorry!